Alright all the English teachers out there, I can hear you tsk tsking at my double negative in the title, but I did get your attention. When people ask me what I teach, I say people. Of course, they want to know I teach math and social studies, but I am reminded each day about the importance of seeing everyone as students above and beyond the curriculum. 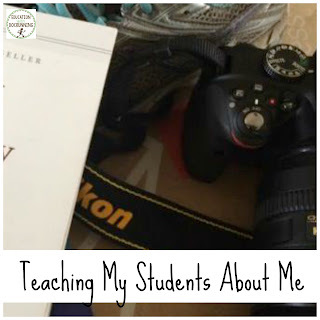 I had written a blog post about my own personal experience in the value of getting to know students as part of my back to school routine, and then I came across this post about a teacher's outreach to her students, and frankly, it said everything I wanted to. 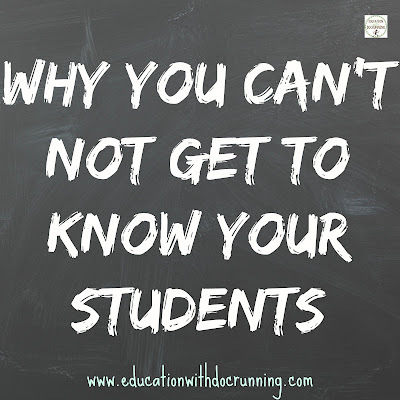 So, I share part of the post below as well as some of my favorite activities to start to get to know my students when we go back to school. 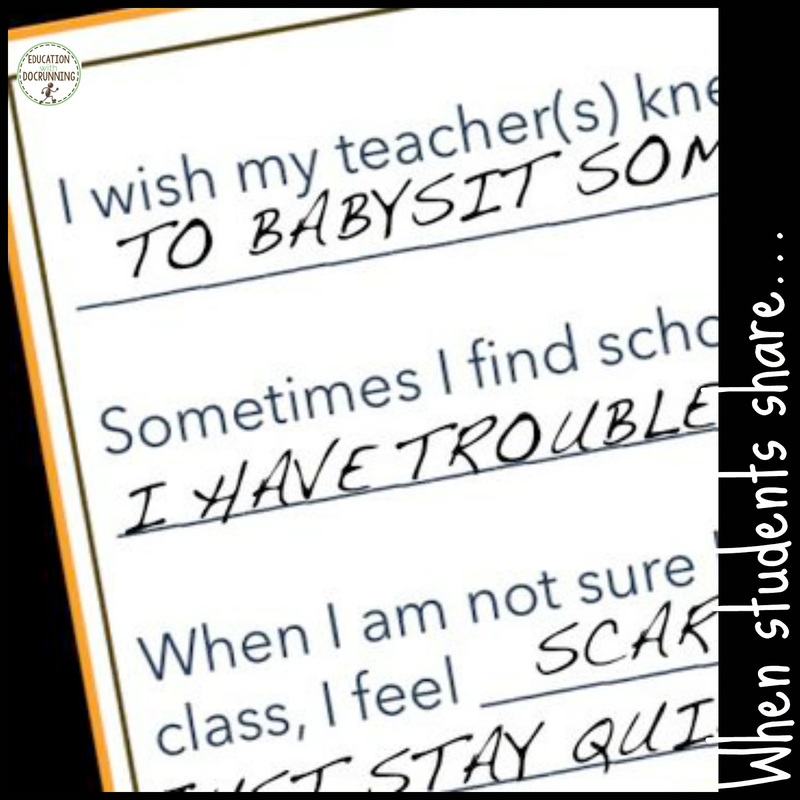 "Every Friday afternoon Chase’s teacher asks her students to take out a piece of paper and write down the names of four children with whom they’d like to sit the following week. The children know that these requests may or may not be honored. She also asks the students to nominate one student whom they believe has been an exceptional classroom citizen that week. All ballots are privately submitted to her. ...Chase’s teacher is not looking for a new seating chart or “exceptional citizens.” Chase’s teacher is looking for lonely children. She’s looking for children who are struggling to connect with other children. She’s identifying the little ones who are falling through the cracks of the class’s social life. She is discovering whose gifts are going unnoticed by their peers. And she’s pinning down- right away- who’s being bullied and who is doing the bullying. 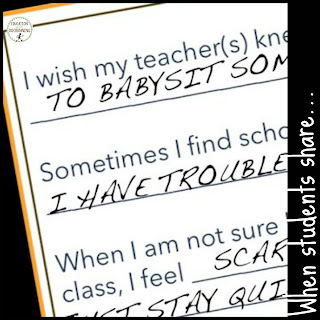 ...And it’s a bully deterrent because every teacher knows that bullying usually happens outside of her eyeshot – and that often kids being bullied are too intimidated to share. But as she said – the truth comes out on those safe, private, little sheets of paper. Ever since Columbine, she said. Every single Friday afternoon since Columbine." Student inventory: my back to school student inventory starts with the basics (favorite food, activity, book, etc.) but it then asks students to dig deeper. I ask about how they learn, past experiences, goals for the future, things that make them anxious and more. Essentials List: after the student inventory, students generate an essentials list for me. They choose what they want to share with me. I also share my own list with them. In this way, we are all humans. Guess Who? : This is by far my favorite back to school activity with secondary students. Students pack bags of artifacts about themselves and then become detectives, investigating what they can learn about the person who packed the bag from the contents. Students love it, and it is the most telling activity I have found in bringing out the honest selves. Self-Portraits: we use different self-portrait activities to build a piece about ourselves for the class. The portraits are all hung together so that a community is built. Students are always surprised to find others who they didn't know also loved to skate board or rock climb or read a particular book. So, as I go back to school this fall, I will start with I teach people. And I will spend every week checking in on my students not only to see if they are getting the material but also to make sure they are connected. 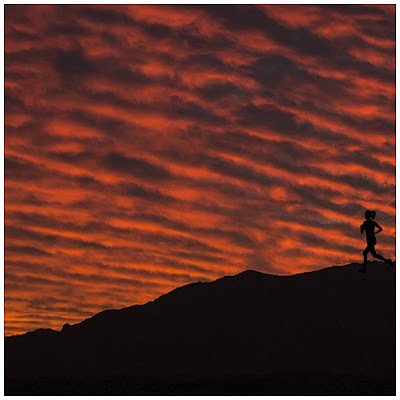 Without connections to each other, we are setting up people to be lonely. And sometimes that loneliness can turn ugly. Will you take the time to connect with your students? How? This is also exactly how I feel. So well expressed. And I love the Guess Who? activity. I might just steal that this September. It is by far my favorite activity, and my students love it, too. They talk about it for a long time. You have some very good ideas for getting to know your students as well as helping them to get to know one another. I especially like the idea with the guess who bags. I have done something similar with index cards. Students write facts about themselves and the class guesses, but I imagine having "artifacts" about themselves in bags is more engaging. Thanks for sharing your ideas. Hmmm...index cards is a very reasonable alternative. Artifacts are fun and really engaging, but I think the point is to make connections in whatever constraints your class has to work within. Thank you for sharing. "When people ask me what I teach, I say people" ~ THIS! The seating and citizen vote is an exceptional activity. I love the motivation behind it and how it helps show the undercurrents of the classroom that are often hidden from students and teachers alike. I'm going to use it this next year. Thank you! I love this post! Thanks so much for sharing...and I too LOVE the Guess Who? as well!!! Very nice. It is obvious you are capturing kids' hearts! I do a similar guess who, but for mine, kids write on paper. I like yours so much better! What a great idea and fun way for the kids (and you) to get to know each other.